Believe it or not, there are more Amarula Cream recipes than you can imagine. Gone are the days where your only option is to mix your cream liqueur with ice cream, and since winter is well on its way that just won’t do. 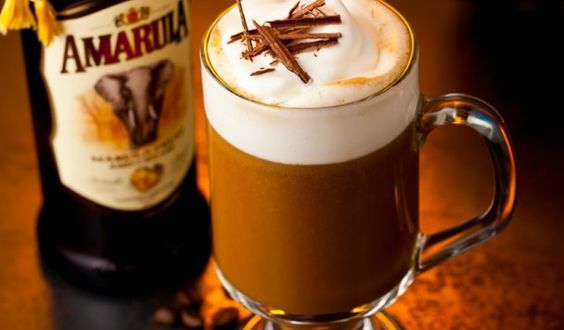 So we searched every corner of the Internet and picked the brains of innovative and expert foodies to serve you a hot list of delicious Amarula recipes to keep you warm this winter. Here are our top five recipes. Imagine gathering around the dinner table or fireplace and enjoying a warm and delicious meal with friends and family. 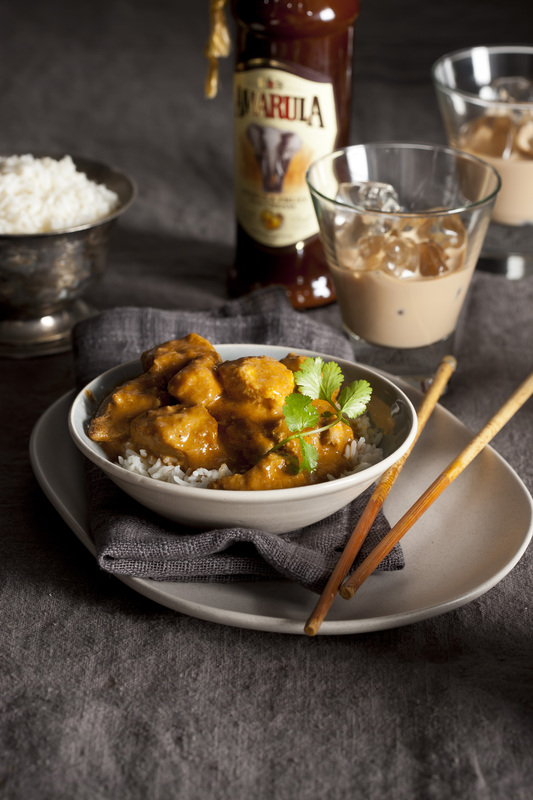 The Thai Massaman curry complemented with Amarula is full of flavour and will leave you feeling fulfilled. Here’s the recipe for this amazingly delicious Asian meal featuring the African original, Amarula Cream. Add the oil to a heated saucepan and allow to sizzle. Once the oil is hot, add the chicken to the saucepan and cook. Be sure to stir constantly until the chicken has browned evenly. Thereafter, add two tablespoons of coconut cream to the saucepan. Cook this over moderate heat for roughly 20 seconds or until the coconut cream is hot. Add the curry paste to the pan and cook for one minute. Once more, put the chicken and its juices in the pan. Add the remaining ingredients to the pan and stir to combine. Thereafter, lower the temperature and cover the pan with a lid. Simmer for 60 to 90 minutes while stirring occasionally, or until the chicken becomes tender and the potatoes have cooked through. Serve hot on a bed of rice with coriander as garnish. Treat your taste buds with a good cup (or more) of hot chocolate infused with Amarula Cream. Unwind with this winter delight by using this amazing recipe for a yummy hot chocolate which is sure to warm you on a cold night! Boil ½ cup of cream and pour it over the chocolate. Combine the chocolate and cream by gently stirring it with a spatula; this will create a chocolate ganache. In another pan, boil the milk and the second quantity of cream and coffee. Once off the heat, add the cocoa powder and stir well with a whisk to eliminate lumps. Pour the milk into the ganache mixture and stir to combine. Add the amount of Amarula Cream according to your preference along with some salt and cinnamon. Before pouring into your mug, strain the mixture to ensure that there are no remaining cocoa powder lumps. Thereafter, pour the hot chocolate into your favourite mug, and add whipped cream or marshmallows on top. 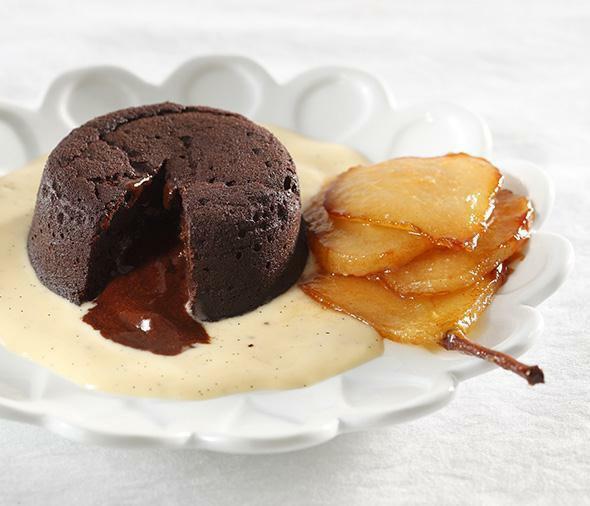 After a lovely main meal, end off on a sweet note with a delectable warm-centred chocolate fondant. The dessert will be worth the effort and will be rewarding once you see the chocolate ooze out into your cream liqueur. Butter and dust four dishes with cocoa powder. Thereafter, melt the butter and chocolate in a double boiler or in a microwave oven. Whisk eggs until the texture becomes light and fluffy, and then fold flour into the mixture gently. Immediately after, fold the chocolate into the egg mixture. After that, pour the mixture into the ramekins and fill it to ¾ full. Remove the fondant from the oven and allow to cool. Once the fondants are cool, turn out onto plates. Heat milk and vanilla pod and set aside for the flavour to infuse. Whisk the egg yolks and sugar in a glass bowl over boiling water. Add milk to the egg mixture a little at a time and continue to whisk. Stir the mixture continuously until it has slightly thickened and then add the Amarula Cream liqueur. Serve the fondant with the crème. 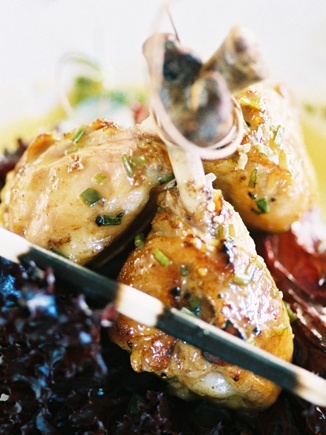 Dig into some succulent bittersweet chicken with this recipe which will satisfy your guests at a dinner party. This is great to bring to friend’s dinner party and is easy to make. 12 bay leaves and toothpicks. Prepare the star ingredient, the chicken, by cutting the skin around the bone loose and pushing it down with a scraping movement using a knife. Cover the exposed bone with foil. Lightly spice the chicken with seasoned flour. Mix the chives, marmalade, lemon, Amarula, and salt together. Coat the drumsticks in the mixture and place in an ovenproof dish or pan. Bake the drumsticks at 200 degree Celsius for 45 minutes until crispy. Thereafter remove the foil from the drumsticks. And finally, serve the chicken warm and watch as your guests enjoy. 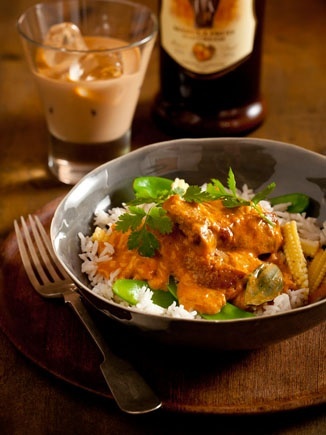 Tuck into the mouth-watering Amarula red duck curry for dinner and experience a true flavour heaven. This recipe is straightforward and has ingredients that are easy to find in a typical grocery store. Serve this curry with steamed basmati rice and you’ll have a complete and wholesome meal! Stir and fry the curry paste and curry powder in heated peanut oil and then add coconut cream to the mix. After four minutes add the duck while maintaining the heat until the duck has cooked through. Thereafter, add the Amarula, fish sauce, lime juice and sugar. Allow to cook for roughly 30 seconds. Lastly, add the blanched baby corn, mange tout, basil, and coriander to the pan. This meal is best served with steamed basmati rice and fresh coriander to garnish. Whether you’re a fan of the brilliant African drink, Amarula Cream liqueur, or just looking for a challenge in the kitchen, these recipes will impress your friends and family. Here’s to many fine dining moments in the comfort of your home this winter!